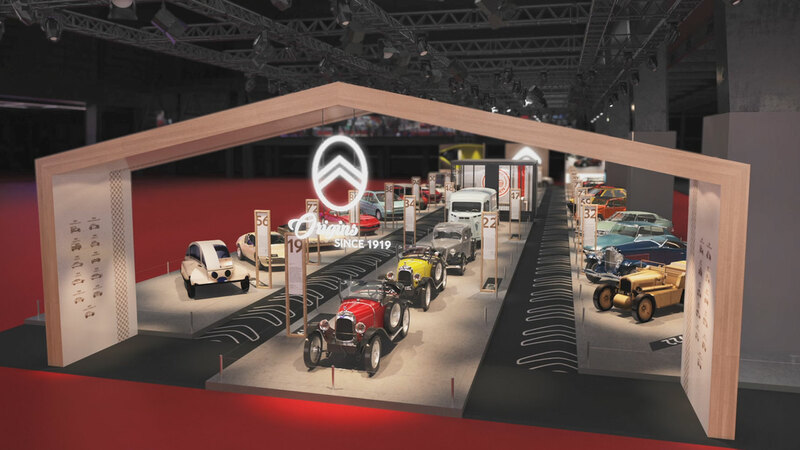 Citroen’s stand at Retromobile 2019 was always going to be special, but as this 90-second video demonstrates, it promises to be the star attraction in Paris. 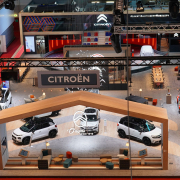 From the Type A 10 HP of 1919, through to the C5 Aircross SUV of today, Citroen has assembled a group of 30 cars representing 100 years of innovation, creativity and eccentricity. The vehicles are divided across three themes: production cars, concept cars and racing cars. You’ll need more than 90 seconds to take in the splendour of these magnificent machines. 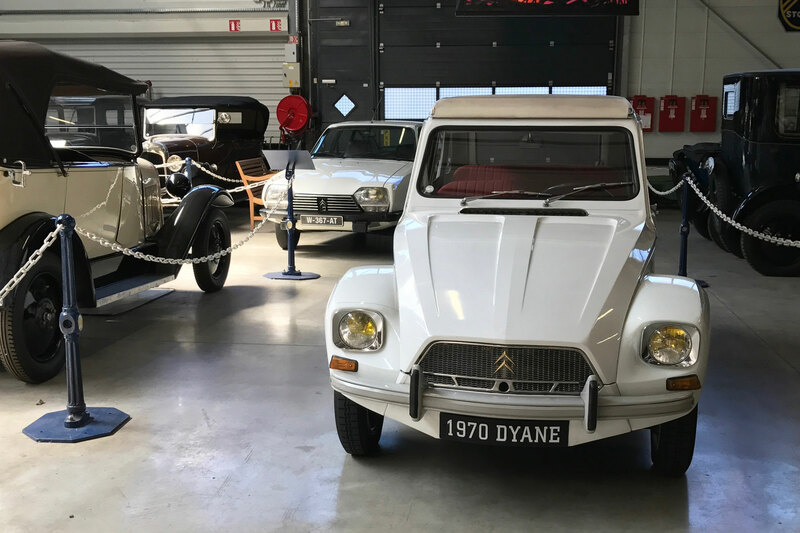 There are famous vehicles, such as the Traction Avant, 2CV and DS 21 Pallas – three of the most significant cars of the 20th century. You’ll also find a Type H Van that’s not selling hot drinks or overpriced sandwiches – a rarity that’s not often seen in the wild. 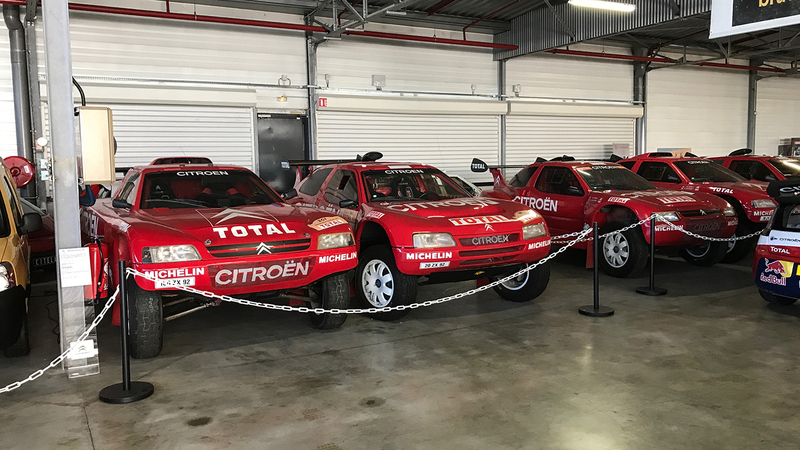 Motorsport fans are catered for thanks to the likes of the Xsara Kit Car and ZX Rally-Raid, while concepts include the Camargue and GTbyCitroen. The 3D virtual tour also shows Ronnie Pickering’s choice of wheels, although the Picasso isn’t listed as one of the cars on show in Paris. Alongside Citroen’s centenary stand, Retromobile will also celebrate 60 years of the Mini, 45 years of the PRV engine, and the 1950 BRM Type 15. The doors open on 6 February, but don’t worry if you can’t make it to Paris – our man Tim Pitt will be on hand to take photos of the best exhibits. 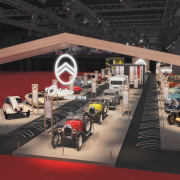 In the meantime, enjoy this tantalising glimpse at the Citroen stand. Citroen is paying homage to 100 years of ‘creativity and boldness‘ with help from a new range of Origins limited edition cars. Sadly, this doesn’t mean we can look forward to a Citroen AX GT ‘restomod’, a CX for a new-generation or a modern-day 2CV – although we can dream. 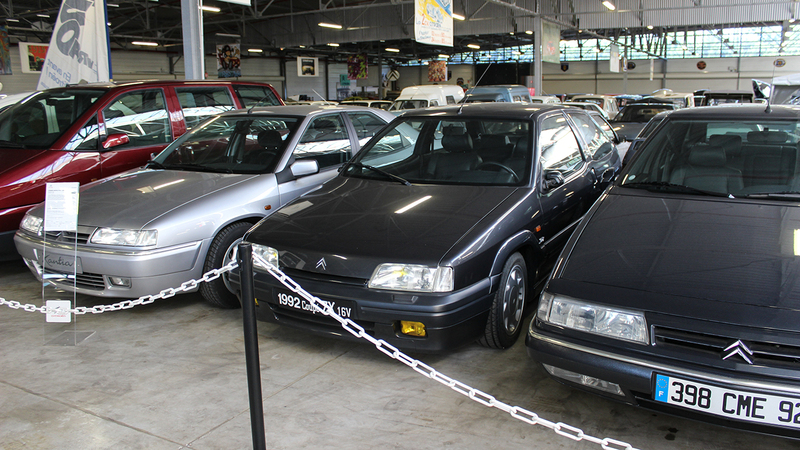 Instead, it’s a range of limited-run specials based on some of Citroen’s most popular models. 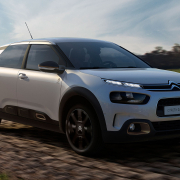 The first two vehicles in the UK are the C3 Origins and the C4 Cactus Origins. Later this year, Origins versions of the C1 and C3 Aircross will be available to order. All feature bronze highlights and a nod to the original Citroen chevron logo. 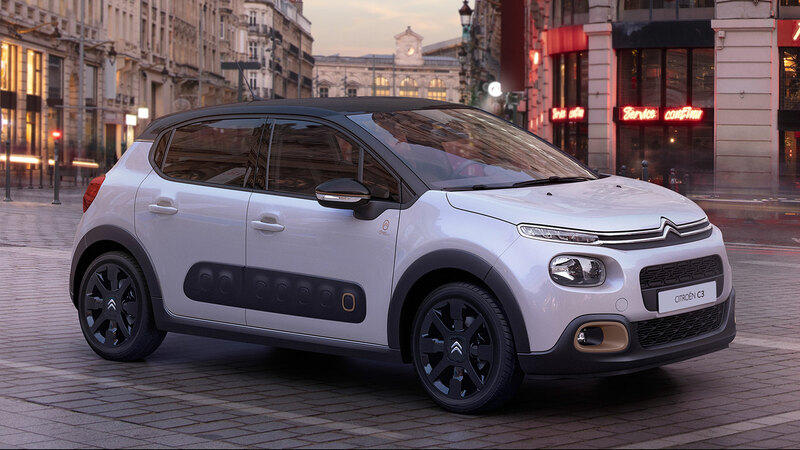 The C3 Origins is available in a choice of Polar White, Cumulus Grey, Platinum Grey or Perla Black body colours, paired with a black roof and 17-inch black alloy wheels. A special Origins colour pack features bronze fog lights and Airbump panel surrounds, along with the Origins logo on the door mirrors and roof pillars. 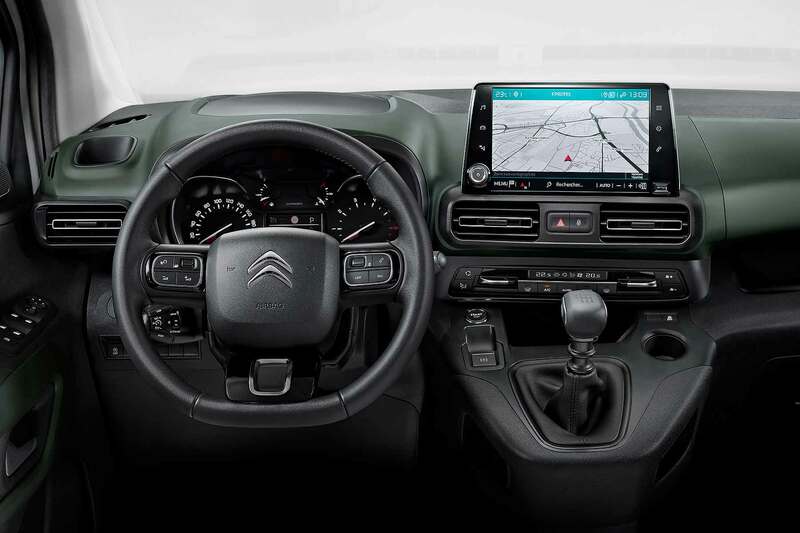 Inside, the C3 Origins features Heather Grey and black seat upholstery, and a soft-touch dashboard trim with a bronze surround. 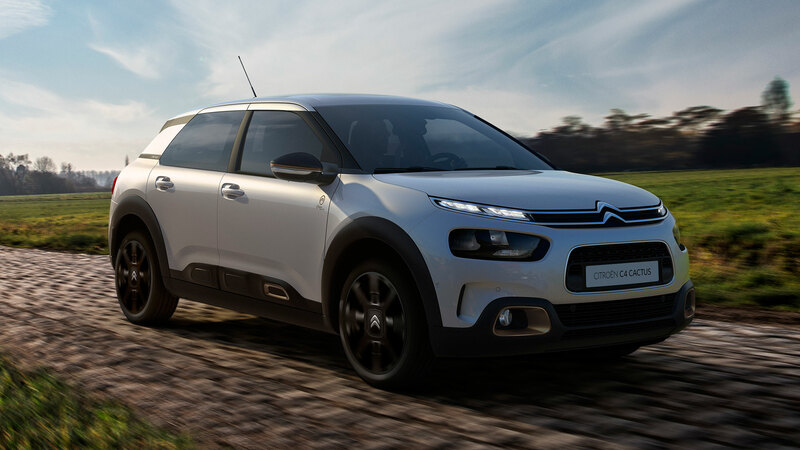 The C3 Origins is available with a choice of two 1.2-litre engines – a PureTech 82 and PureTech 110 – with the latter equipped with a six-speed automatic transmission. Prices range from £16,585 for the PureTech 82, to £19,005 for the PureTech 110. The C4 Cactus Origins is largely the same as the C3 Origins, although Pearl White paint is also available, while Perla Nera is substituted for Obsidian Black. Only one powertrain is offered: a 1.2-litre PureTech 110 with a six-speed manual gearbox. The price is £20,215. Customers can place orders now, with deliveries expected in March 2019. Origins versions of the C1 and C3 Aircross will be available to order in March for delivery in June. 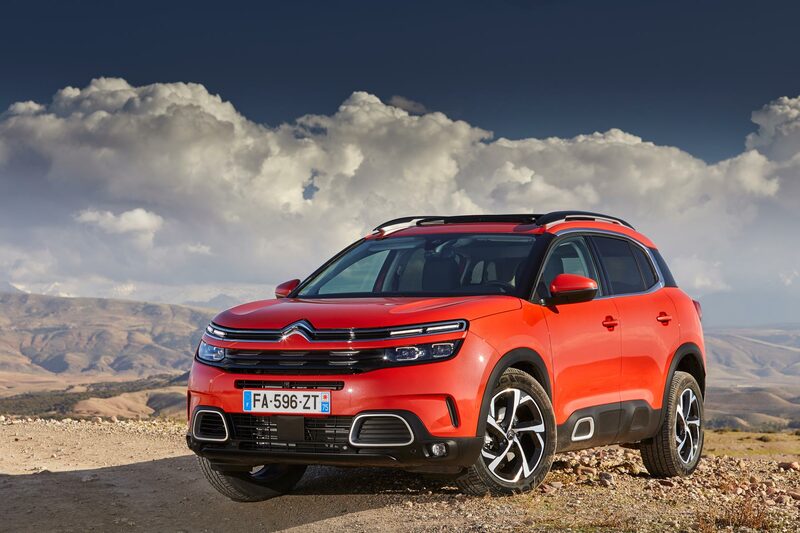 We drive petrol and diesel versions of the new Citroen C5 Aircross SUV. How does it stack up against the Nissan Qashqai, Kia Sportage and Hyundai Tucson? 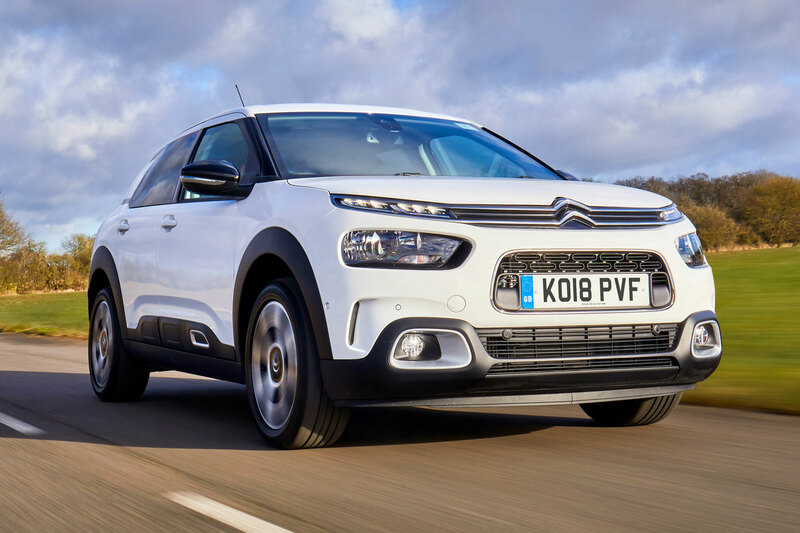 2018 Citroen C4 Cactus first drive: it’s new, but is it improved? The new Citroen C4 Cactus boats a trick suspension and lounge-style seats, but in growing up, has it lost some of its unique appeal? 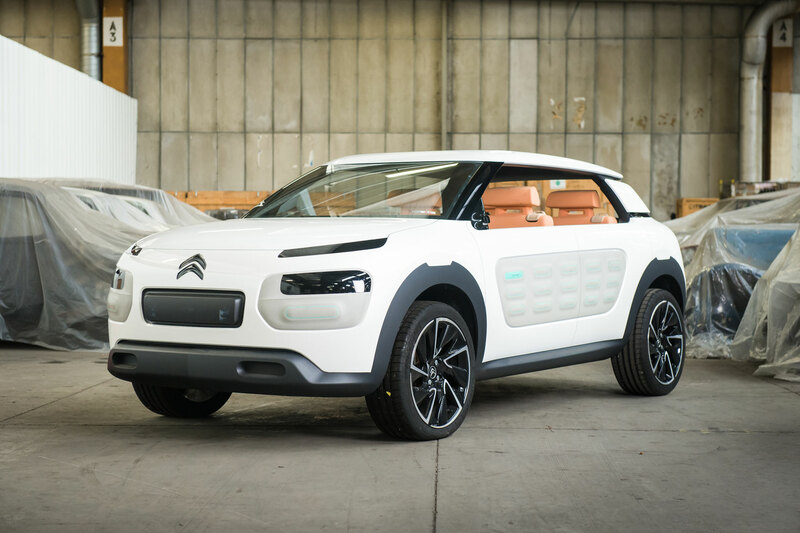 https://www.motoringresearch.com/wp-content/uploads/2018/03/2018-Citroen-C4-Cactus.jpg 1200 1800 Gavin Braithwaite-Smith https://www.motoringresearch.com/wp-content/uploads/2018/12/mr-top-motoring.svg Gavin Braithwaite-Smith2018-03-19 16:59:312018-12-10 16:25:432018 Citroen C4 Cactus first drive: it's new, but is it improved? 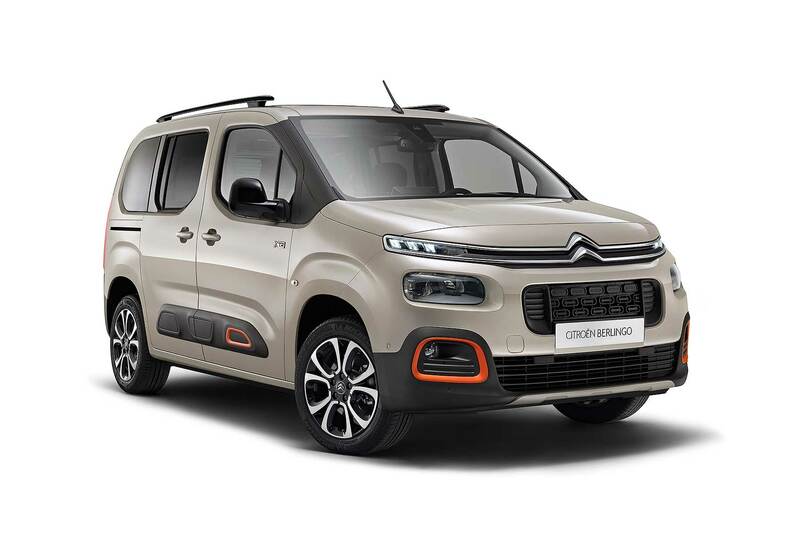 The new Citroen Berlingo Multispace would take one look at a crossover, take a drag on a half-smoked Gauloises, before dismissing it with a Gallic shrug of the shoulders and sauntering off muttering something about stupid young upstarts. Since its unveiling at the 1996 Paris Motor Show, the Berlingo has cemented a reputation for being one of the most honest and fit-for-purpose vehicles money can buy, and you’ve never required much in the way of cash to secure its services. Twenty-five years ago, a Berlingo cost less than £9,000. 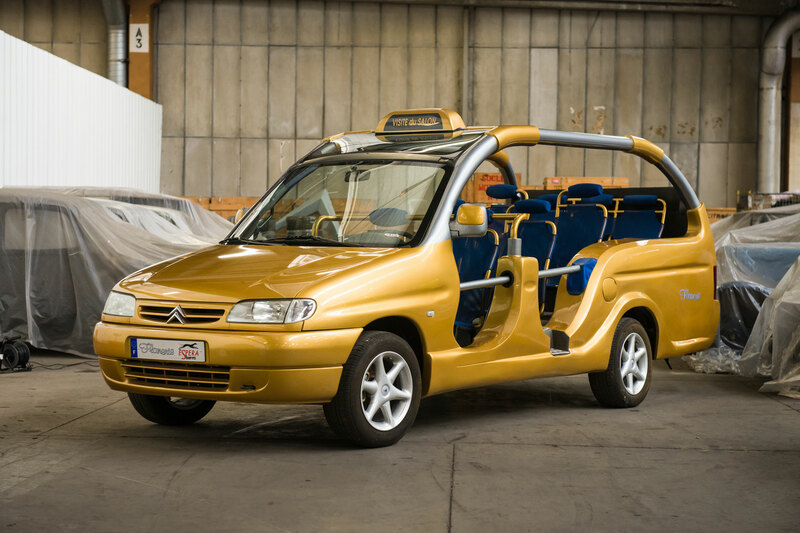 Citroen will do its best to position it as a ‘Leisure Activity Vehicle’ (LAV), but the French company is fooling nobody. 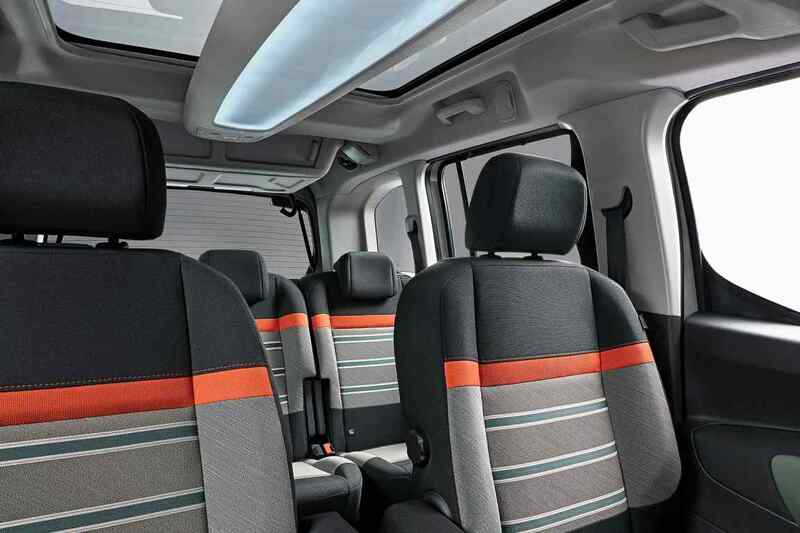 The Berlingo Multispace is unashamedly van-based, and that has always been central to its appeal. And like the village hall, you could probably use it to house the post office on a Thursday morning and the table tennis club on a Tuesday night. Multispace by name, Multispace by nature. Initial sales were slow, right up until the point when Jeremy Clarkson gave the Berlingo the seal of approval. 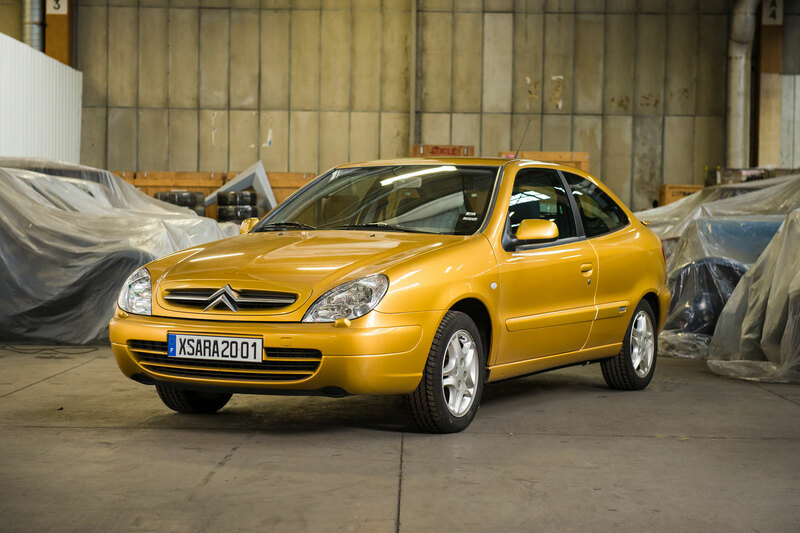 On a booze cruise to France, the then Top Gear presenter waxed lyrical about the van-based Citroen, praising its value for money, sliding doors, ample storage and ride quality. 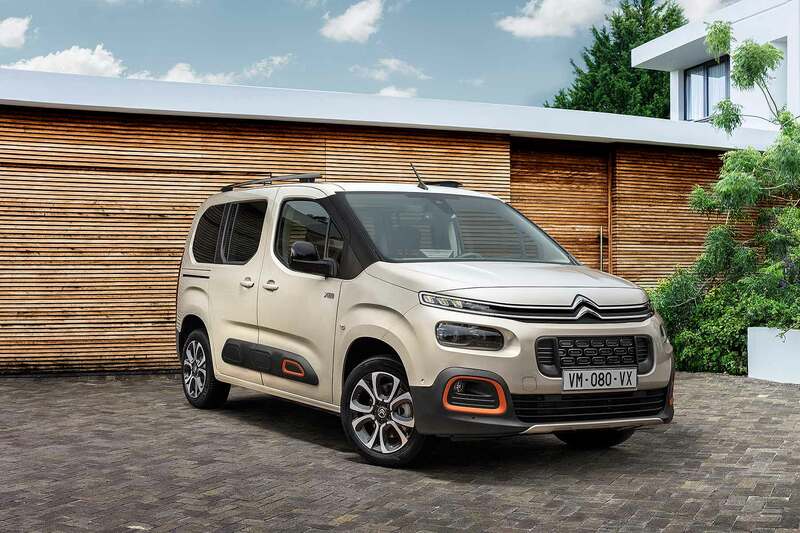 One steak fracas, a facelift and a new model later – for the Berlingo, mostly – Citroen is about to unveil the new Berlingo Multispace at the 2018 Geneva Motor Show. So, what’s new? It retains its van-based origins, which means enough space in which to swing a crêpe, a pair of sliding doors, a vast tailgate, and more flexibility than an Olympic gymnast. Naturally, the styling slots neatly into the Citroen stable, with the Berlingo Multispace having the look of a taller and more upright C3 Aircross. Fans of the outgoing C4 Cactus will be pleased to see Airbump panels at the bottom of the doors. On the inside, the airy cabin and high-set driving position remain, while the seats can be folded to create a flat floor through to the folding passenger seats. 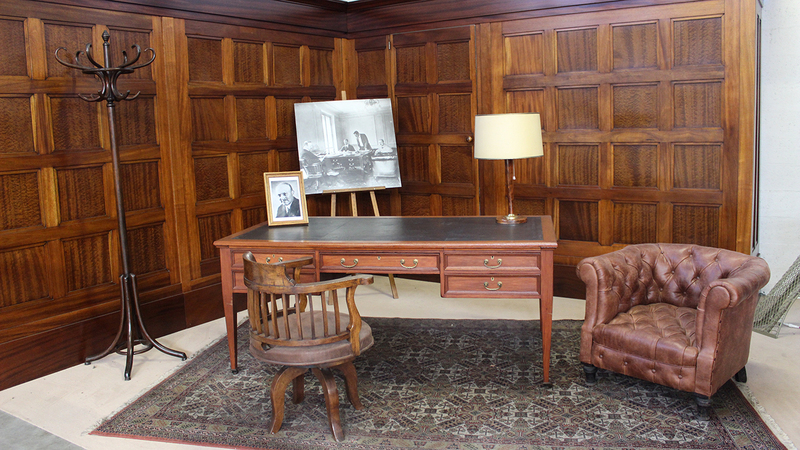 Two sizes are available: M and XL, measuring 4.40m and 4.75m in length, respectively, with five and seven seats. Boot space has been increased by 100 litres to 775 litres in the M version, or 1,050 litres in the XL version with five seats. Just like the original, you’ll spend some time discovering the 28 different cubbies, pockets and bins, which combine to provide 186 litres of interior storage space. In common with the Cactus, the passenger airbag has been moved to the ceiling, which provides space for a secondary glovebox, known as the Top Box. This can be cooled (depending on the version) and contains a USB socket, jack audio socket, and enough space for a 15-inch laptop. 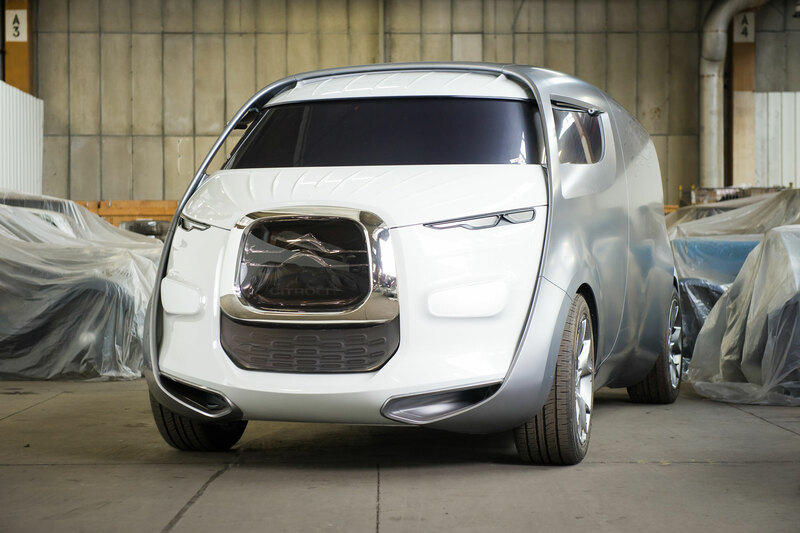 But space and practicality are no longer enough, not even for a van-based MPV… sorry, LAV. If Citroen wants to add to the 3.3 million or so sales to date, it needs to add improved functionality and technology. 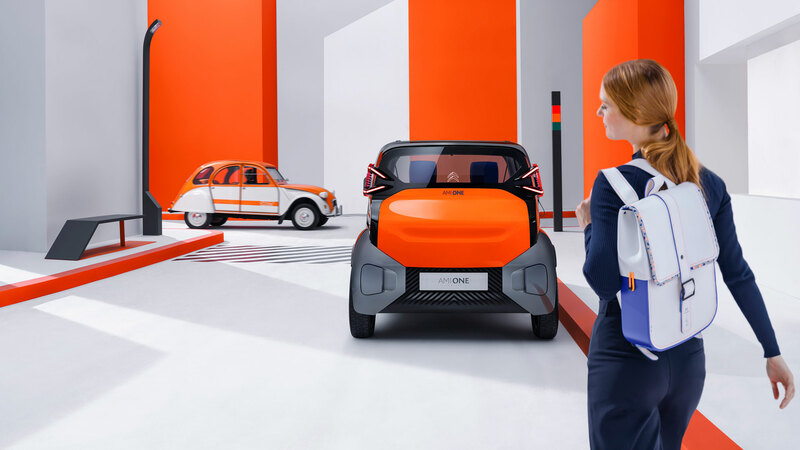 There are no fewer than 19 driving assistance systems, including a colour head-up display, lane departure warning, driver attention alert, adaptive cruise control, park assist, blind spot monitoring, and auto-navigation to the nearest Carrefour or Mr Bricolage. Probably. And while the Berlingo Multispace is front-wheel drive, the Grip Control with hill descent assist should provide enough traction for the majority of drivers. You can even add a trailer stability control system if the dog doesn’t fancy sharing the ride with a crate load of Beaujolais. Further hints of modernity include an 8-inch touchscreen infotainment system, wireless smartphone charging, Apple CarPlay and Android Auto. A range of petrol and diesel engines will be available, along with the introduction of an 8-speed EAT8 automatic transmission. Far from being a niche model, the Berlingo is an incredibly important vehicle for Citroen. It’s the top-selling Citroen in nearly 17 countries and is the brand’s second best-seller behind the C3. 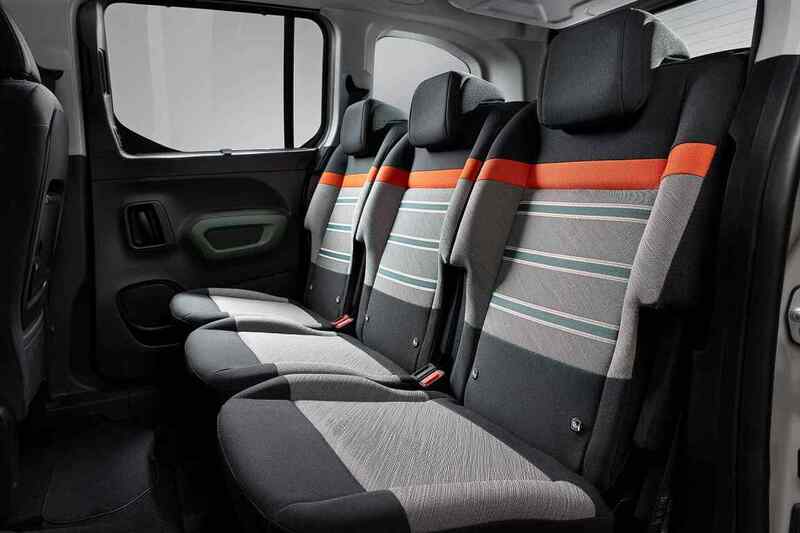 While other manufacturers sweat over finding new niches, the Berlingo Multispace remains resolutely down-to-earth and unashamedly unfashionable. Combine this with the new safety tech and connectivity, and it’s hard to see it becoming anything other than a success. Prices have yet to be announced, but the new Citroen Berlingo Multispace will be built in Spain and will launch in the second half of 2018. Still want that fashionable but compromised crossover? If Citroen is to be believed, going down on one knee to ask the love of your life to marry you is so last century. No, what you need is the C3’s ConnectedCAM, which allows you to take photos of a series of letters, culminating in a marriage proposal sent via a smartphone. Impersonal it might be, and you need to make sure you send the letters in the correct order, as your significant other might be a little perplexed to receive a message about the ARMY and REM. Of course, ConnectedCAM is designed for the smartphone generation. Those who can’t bear to be disconnected from their friends on social meeja, keen to share every last moment of their day. Simply connect your phone to ‘point and click’ your way around the M25 or along the North Circular. 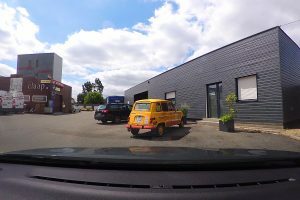 My recent trip to the Conservatoire Citroen was the ideal opportunity to test the ConnectedCAM for myself. A European road trip, complete with ferry crossings, French countryside and a generous helping of tatty old motors. Granted, Citroen probably didn’t have French tat in mind when it came up with the idea of a built-in dashcam, but I believe that tired Peugeots, Renaults and Citroens are far more interesting than stunning sunsets and people in fancy dress using zebra crossings. Maybe that’s just me. I downloaded the app before leaving the home, using the time waiting to board Brittany Ferries’ Armorique at Plymouth to connect the smartphone to the system. It’s as easy as connecting a Bluetooth device to an infotainment system and you can set things up to auto-tweet any photos you take along the way. Things started positively, with ConnectedCAM taking a good HD photo when boarding the Armorique and another one disembarking the ferry at Roscoff. This is how social sharing works, right? Food, selfies and ferry terminals: three things worth sharing with the world. From there, things turned decidedly niche. 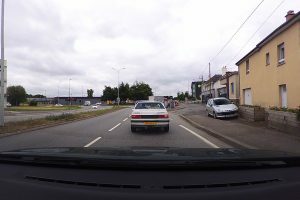 Having snapped a Bentley Bentayga, theatrically weaving in and out of slow moving traffic on the road to Morlaix, attention turned to the wonderful selection of French cars, many of which are on the verge of extinction in the UK. 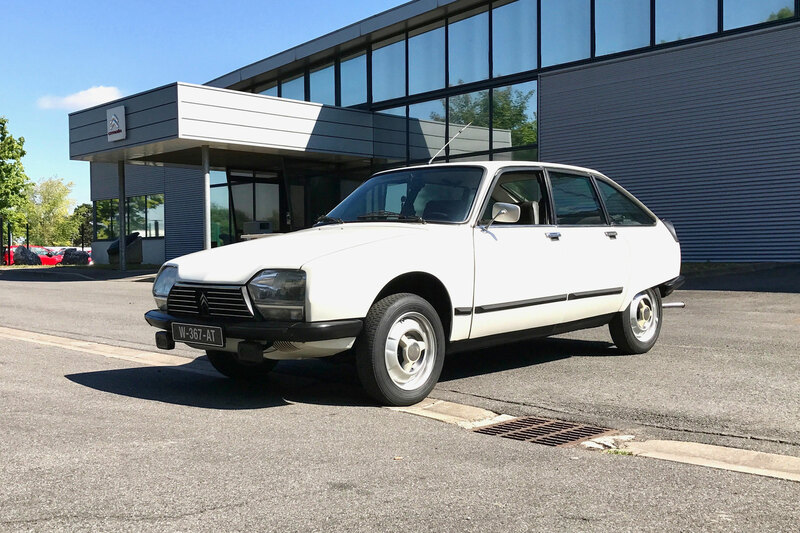 Peugeot 405s, Renault 21s, first-generation Renault 5s, Citroen BXs, Renault 4s and Citroen XMs: just a handful of the old cars which prompted me to reach for the button situated behind the rear-view mirror. 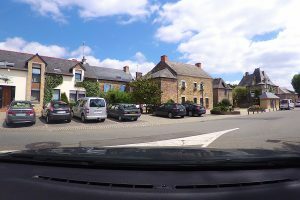 Not all were shared on Twitter – probably user error – but all were saved to the phone to serve as a visual reminder of a road trip through Brittany and on towards Paris. As pointed out on Twitter, this is what ConnectedCAM was invented for. Yes. That’s what it was built for. It was all going too well. 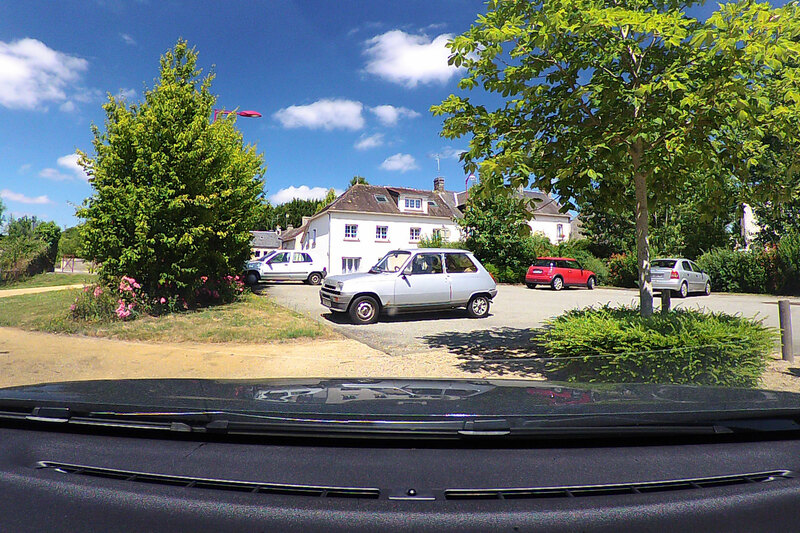 Feeling pleased with the bountiful supply of tat, I caught sight of something rather special emerging through the heat haze in the rear-view mirror: the unmistakable shape of a Peugeot 205 T16. This was it: the moment for ConnectedCAM to shine – social media greatness almost guaranteed. Think of the retweets and ‘likes’. ConnectedCAM: do your bit. Only it didn’t. 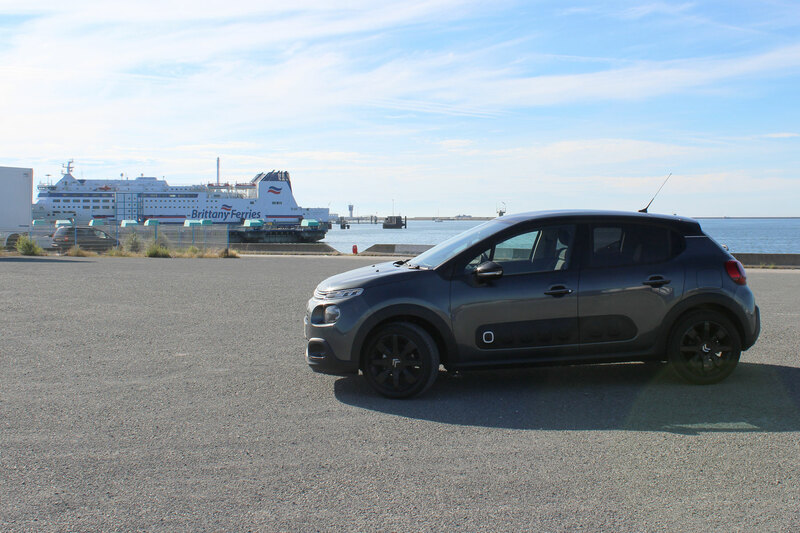 Seemingly bored of capturing images of French tat, the infotainment system and camera went into meltdown, killing the sat-nav, audio and climate control settings in the process. Perfect timing, given the 30ºC heat and the maelstrom of the Parisian road network looming into view. Suddenly, all thoughts of social media greatness vanished into the clouds of smog hovering over the city of love. This was now a test of survival. The rush hour in Paris is best avoided on any occasion, but with no air-con or sat-nav in a right-hand drive car – absolute madness. Meanwhile, the well-dressed man in the 205 T16 was coolness personified. 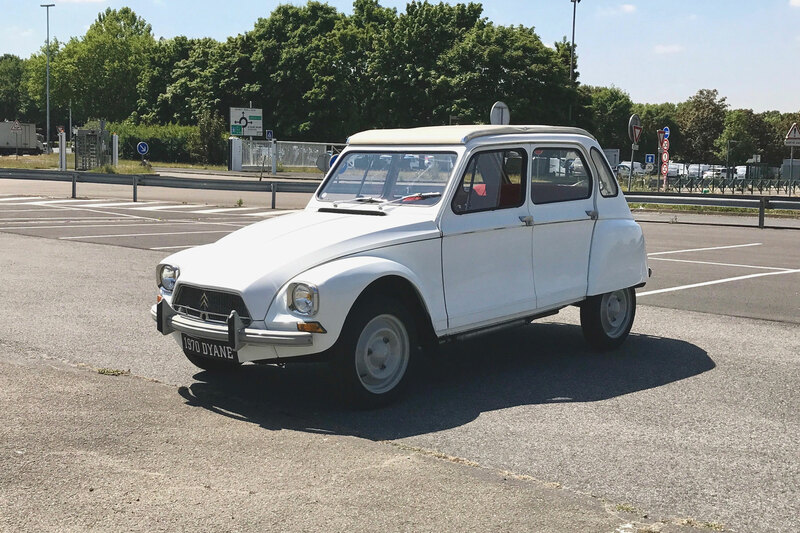 Anybody prepared to tackle the roads around Paris in a homologation special deserves a lifetime supply of Kronenbourg 1664 and a photo taken via Citroen’s ConnectedCAM. Sadly, the latter was never going to happen. 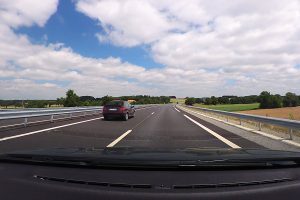 The infotainment system rebooted itself, but the ConnectedCAM remained dead, unable to capture more images from the French road trip. A minor annoyance, sure, but you have to question its usefulness in the event of an accident, when Citroen promotes the benefits of video footage taken 30 seconds before and one minute after an incident. And what if you’re mid-marriage proposal? You can’t leave somebody hanging like that. ConnectedCAM is a neat piece of kit, but like any slice of modern tech, it’s only good when it’s working. It’s standard equipment on the top-spec C3 Flair, or a £380 option on the mid-range C3 Feel. A price worth paying if it encourages drivers to leave their smartphone in the glovebox and can be used as evidence in the event of a road accident. 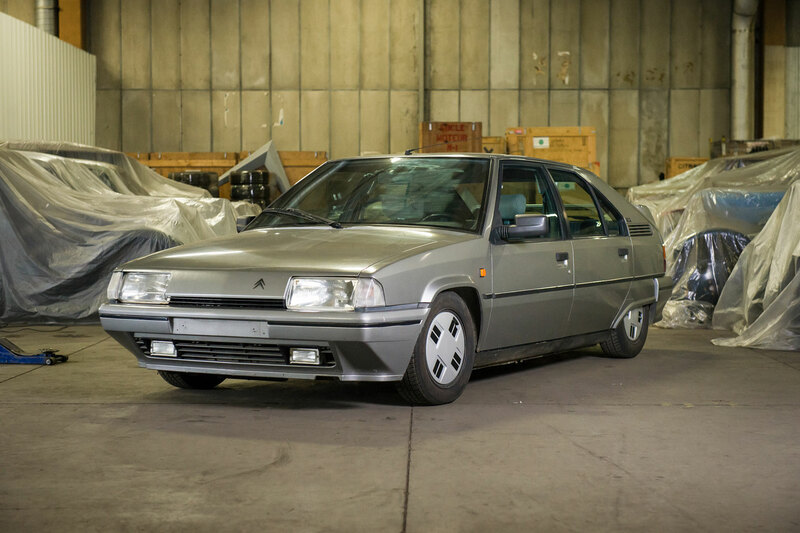 Just don’t ask it to capture photos of rare homologation specials, especially those built by rival manufacturers. Nestled between the appropriately named Boulevard Andre Citroen and the sprawling 170-acre Aulnay-sous-Bois site, where 8.5 million vehicles rolled off a busy production line, stands a rather anonymous looking building. 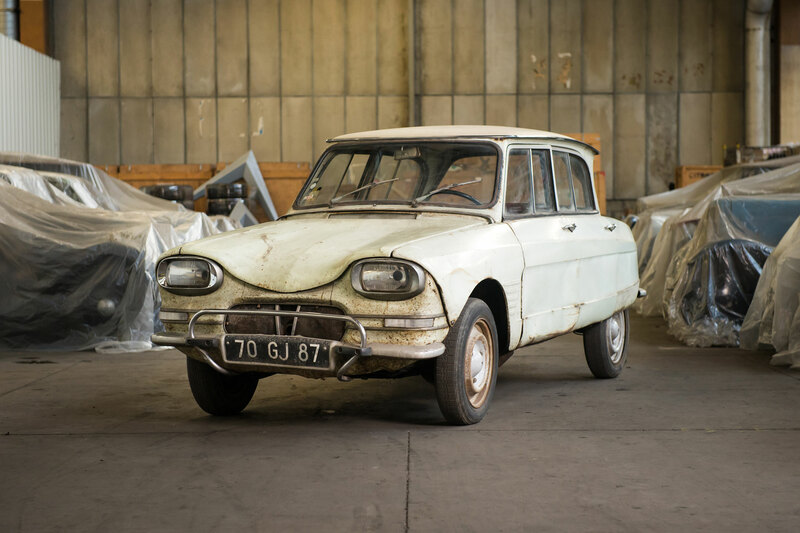 Within the grey walls sit more than 400 old Citroens, preserved for future generations and maintained by a man in blue overalls. 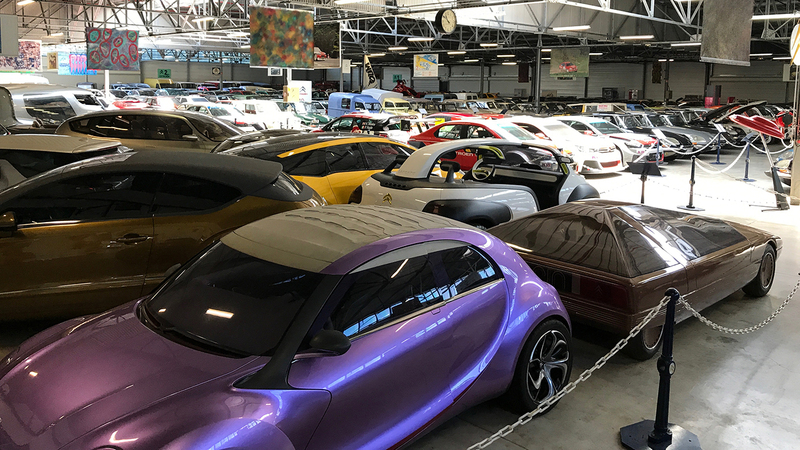 His name is Yannick Billy and the cars form part of the Conservatoire Citroen: the largest collection of Citroens in the world. For a company with such a proud history, Citroen is reluctant to throw open its doors to the general public. Which only served to make our visit to the house of Citroen all the more special. Conservatoire Citroen isn’t open to the public, so it cannot be classed as a museum. 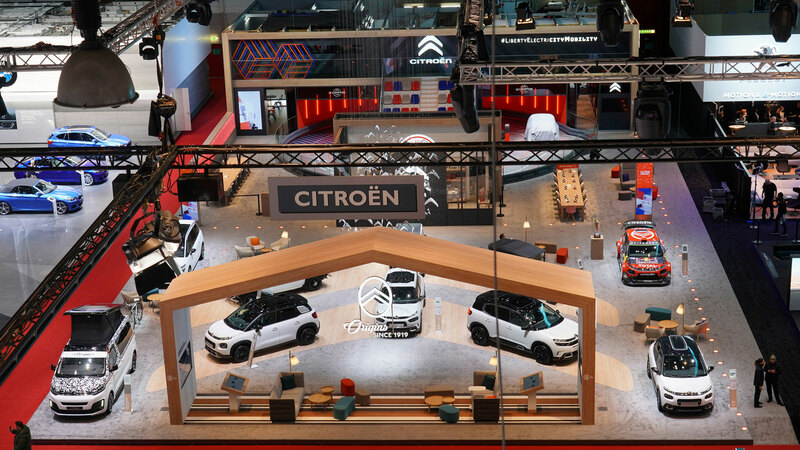 Instead, entry is via invitation only: not even a sheik armed with two million bucks could rock up and demand entry, said the Citroen UK press man, perhaps flippantly. Indeed, when we turned up at the agreed time, the reception area was cloaked in darkness and nobody was answering the door. 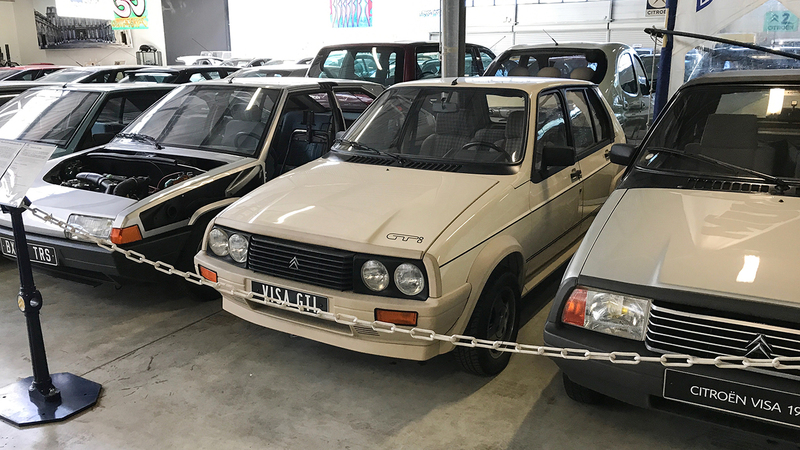 We wandered around to the back door, where we were greeted by Yannick Billy, a long-standing member of the Citroen Heritage team. 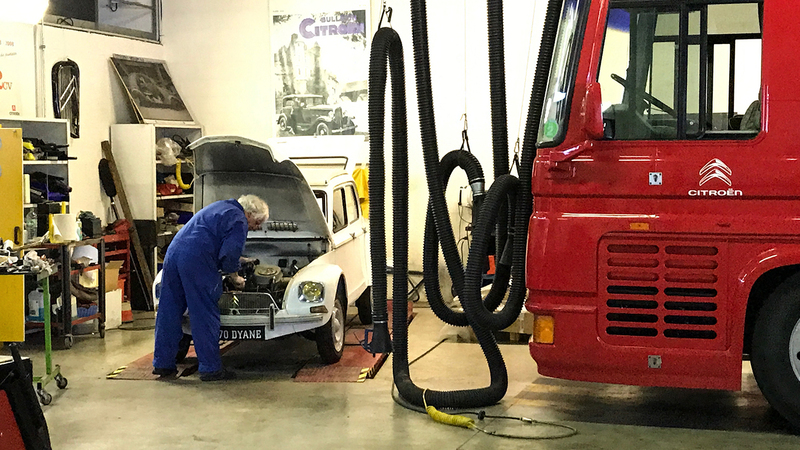 Our lack of French was matched by Yannick’s lack of English, but eventually we were guided through the workshop – enriched by an intoxicating and evocative blend of oil and petrol – and to the doors to the collection. 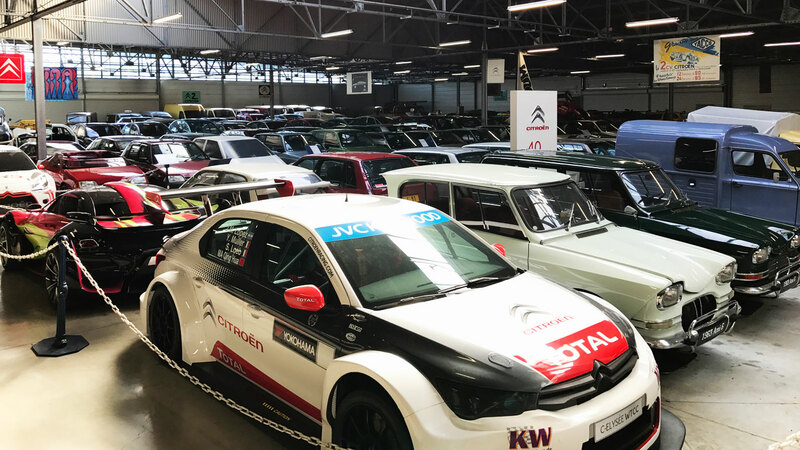 As a Citroen fan it’s almost impossible not to be initially overwhelmed by the spectacle of 400 Citroens in one very large room. But even a non-car person would be amazed by the sheer scale of the place. Citroen’s complete history is here, from the Type A to the latest production models and concept cars. We were given until noon before we’d be shown the door and told to leave. A little over three hours to immerse ourselves in the history of the world’s most innovative and eccentric car brand. So where do you start? You start, much like Andre Citroen, with the Type A. Citroen’s first vehicle was launched in 1919, but the company’s roots date back to 1905, with the creation of Citroen et Cie. Back then, the company manufactured double-helical gear wheels with V-shaped teeth, the design of which inspired the famous Citroen logo. 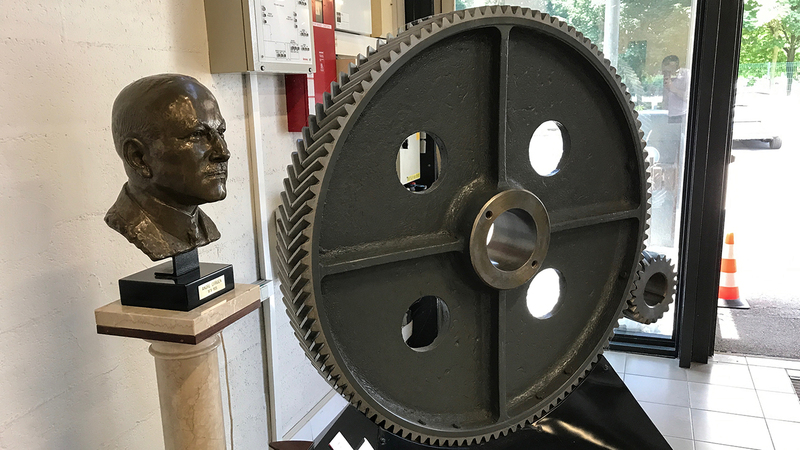 Andre Citroen had first seen gear wheels such as these during a visit to Poland in 1900, and he returned to Paris where he took out a patent for their design. A factory was built to house the production facilities and soon his gear wheels were being used across the world. Famously, his wheels formed part of the steering system in the Titanic. In 1912, Andre Citroen went to America where he met Henry Ford and marveled at the production facilities used to build the Model T. He returned to Paris with the aim of building a car of his own, but his plans were put on hold by the outbreak of the First World War. But from adversity came an opportunity. As an officer, Andre Citroen witnessed his army running out of shells, and he approached the government with plans to mass produce them. He won the contract and by the end of the war he had built 23 million shells from a factory in Paris. 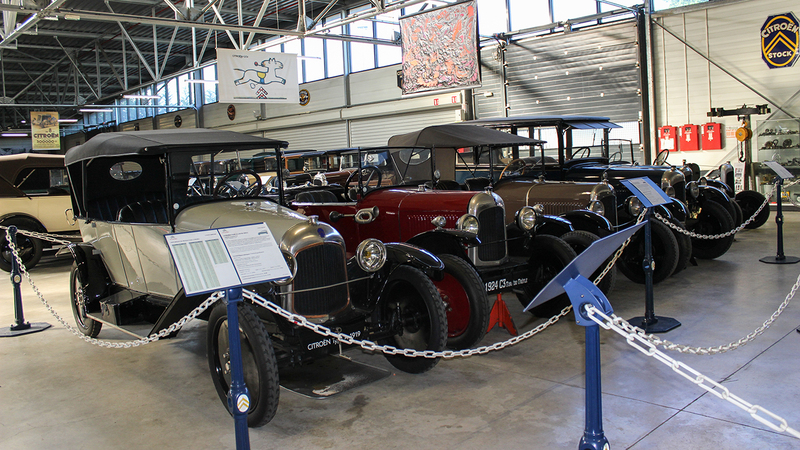 With the experience gained through the production of gear wheels and shells, not to mention the capital and production facilities, Andre Citroen was well-equipped to build his first motor car. The Type A arrived in 1919 and was, quite simply, a revelation. 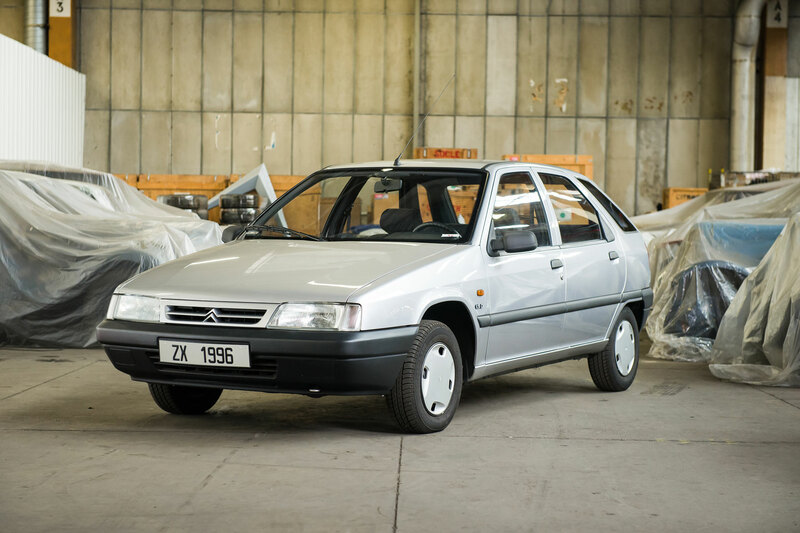 Not only was it Citroen’s first car, but it was also the first mass-produced European vehicle. For the first time, motorists could buy a car ‘ready for the road’. 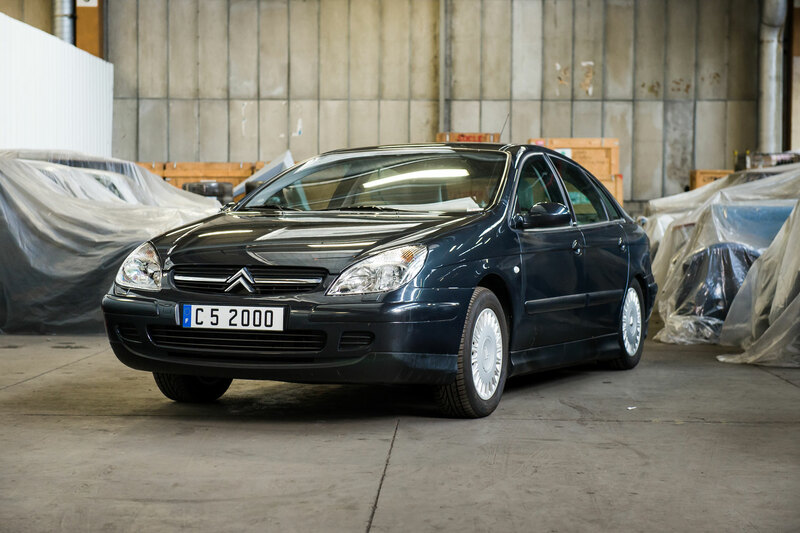 Little wonder, then, that Citroen managed to shift 12,000 Type As within the first two years. 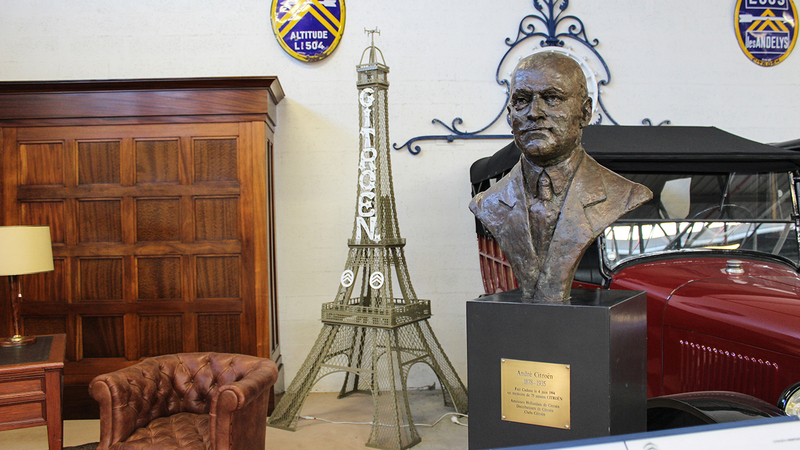 But Andre Citroen was more than simply an ace industrialist. He knew the power of promotion, which is why his name was displayed on the Eiffel Tower at night. Once a month he took out a full page advertisement on the back of France’s biggest newspaper, while aircraft were sent into the skies to write the Citroen name in smoke. In 1926, Citroen opened a new showroom in London’s Piccadilly, reported to be the grandest and most expensive ever built. The interior was clad in marble and the place felt more like a cathedral than a car showroom. 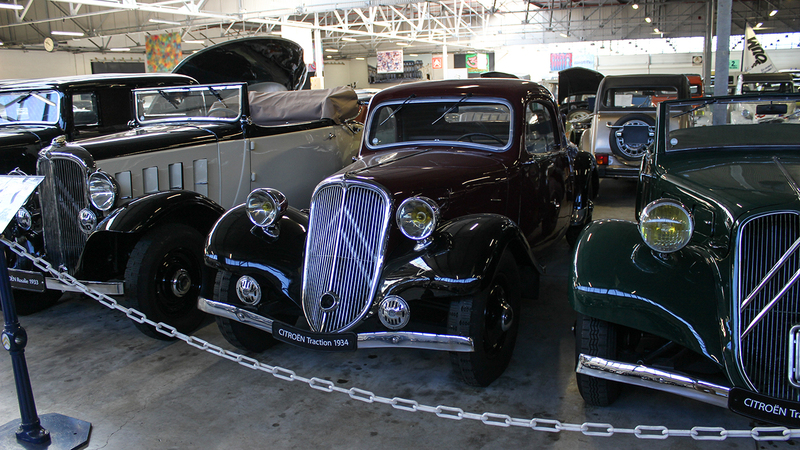 In 1934, Citroen launched the Traction Avant, widely considered to be the godfather of the modern motor car. Three years earlier, Andre Citroen had travelled to the US to visit the Budd Corporation in Philadelphia, where he was shown a front-wheel-drive car featuring a monocoque bodyshell. He knew that it would be possible to build a shell capable of holding the engine, transmission and suspension together, freeing up space and reducing weight. The Traction Avant was the first mass-produced front-wheel-drive car and it changed automotive production forever. But the cost of development crippled the organisation and Citroen was declared bankrupt in 1934. Seven months later, Andre Citroen died, having lost his health, company and the rights to his name. Michelin Tyres took the reins, with the Traction Avant helping to return the company to profitability. In 1935, Citroen started working on the idea of a ‘people’s car’, the so-called TPV, as it was then known. 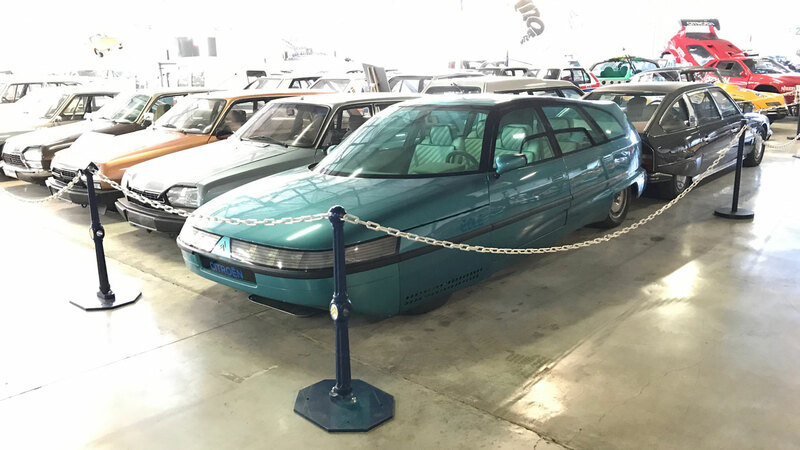 The idea was simple: to create a basic French car for the masses, with Citroen’s chairman, Pierre-Jules Boulanger, describing the design as “a deck-chair under an umbrella”. 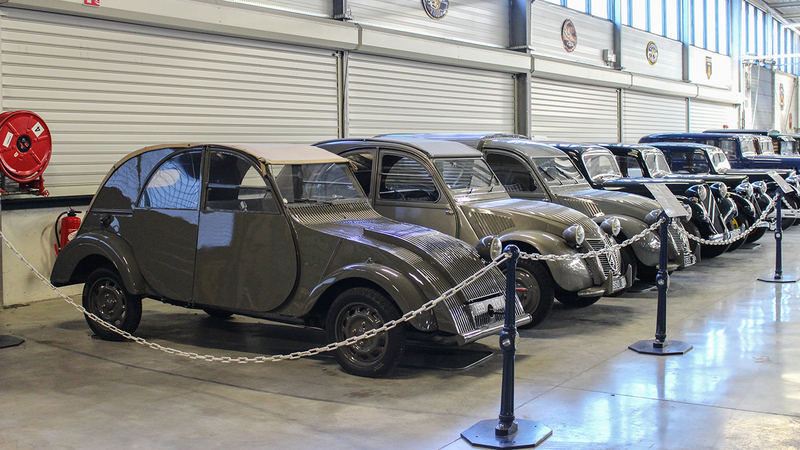 Prototypes were built in 1939 and then hidden away during the Second World War, with the French keen for the Nazis not to discover their revolutionary little car. It would arrive at the 1948 Paris Motor Show, with production continuing until 1990, by which time more than 30 different versions had been built. 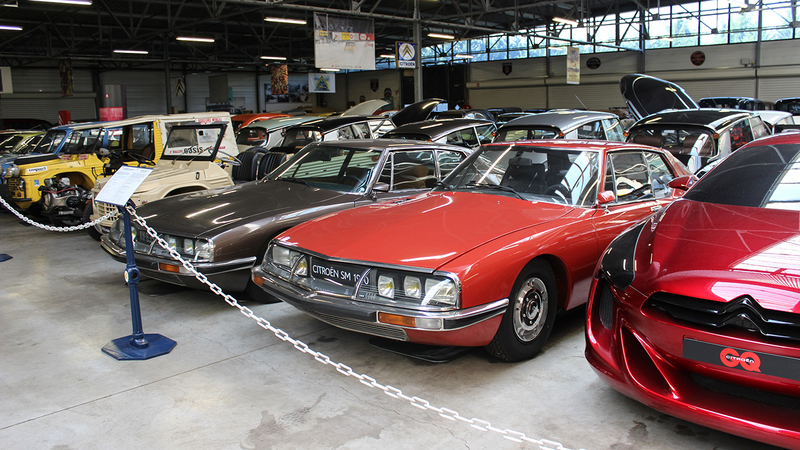 The one other Citroen worthy of the icon tag is the DS. The ‘Goddess’ was unveiled at the 1955 Paris Motor Show and such was the response, 12,000 orders were taken on the first day of the show. It was the first production car to be equipped with front disc brakes and featured revolutionary hydropneumatic suspension. 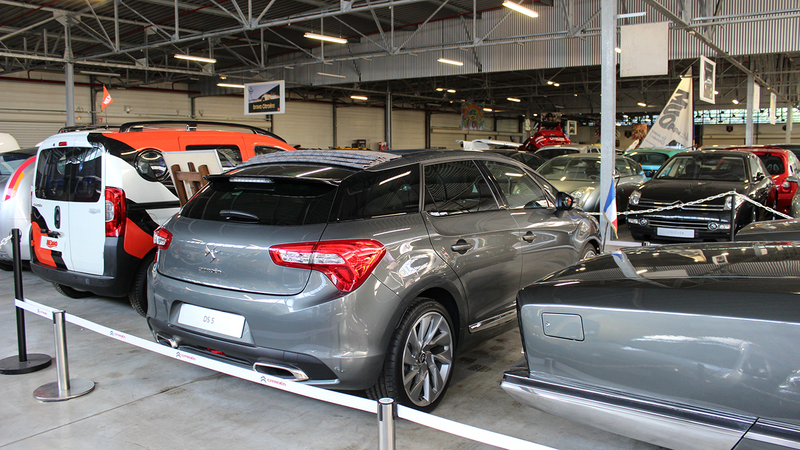 The car pictured is a DS 21 Pallas, showcasing the restyled front end complete with innovative directional headlights. 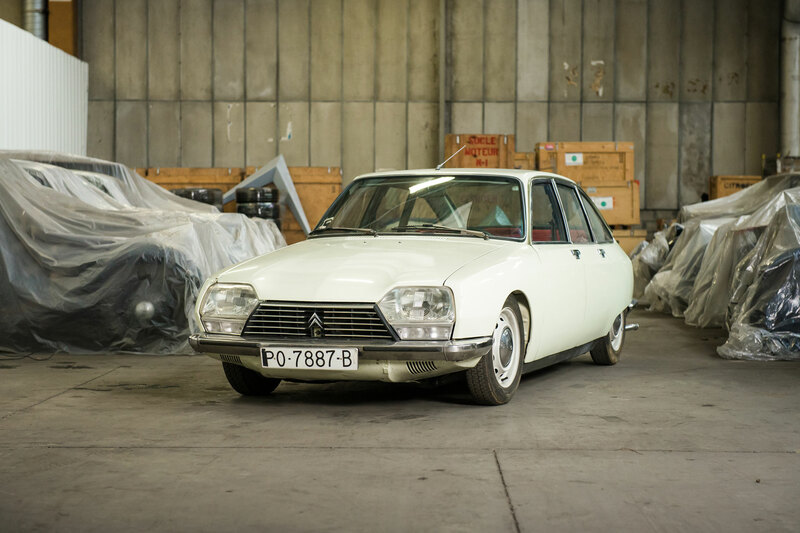 Take the technology found in the Citroen DS, add a Maserati V6 engine and house them in a streamlined body and this is the result: the delightful Citroen SM. On the right is an original press car from 1970, built at the start of production. On the left is a later, fuel-injected model. 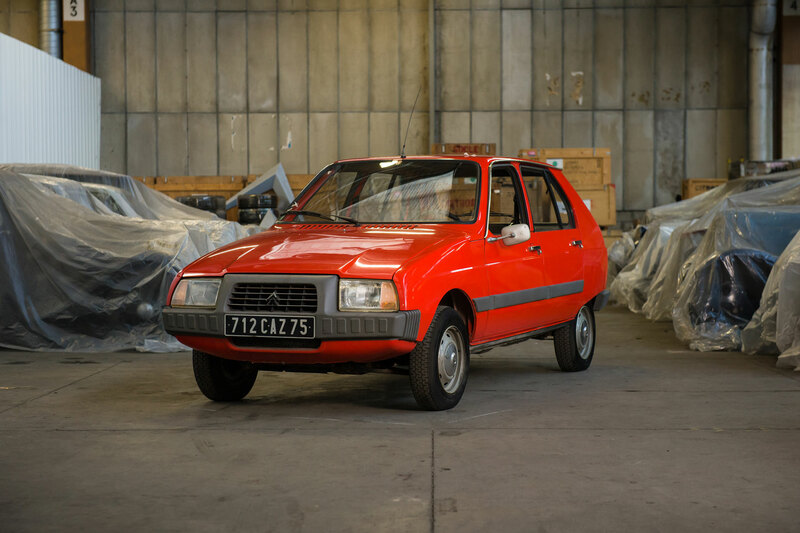 Production was short-lived, partly because of the fuel crisis, partly because of reliability issues, and most certainly as a result of Peugeot’s takeover of Citroen in 1974. Imagine being at the Paris Motor Show in 1970. 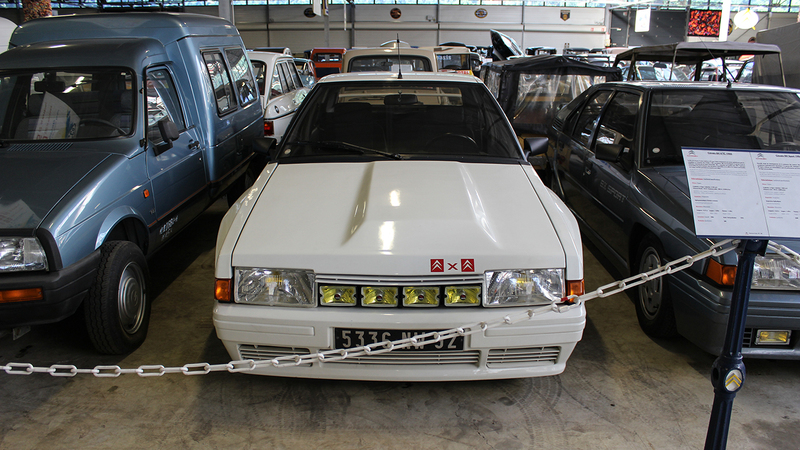 Not only was the achingly beautiful SM first shown to the public, but Citroen also unveiled the brilliant GS. A year later, the GS scooped the European Car of the Year award, leaving the Volkswagen K70 and Citroen SM to finish second and third, respectively. Oh, what a time to be alive. 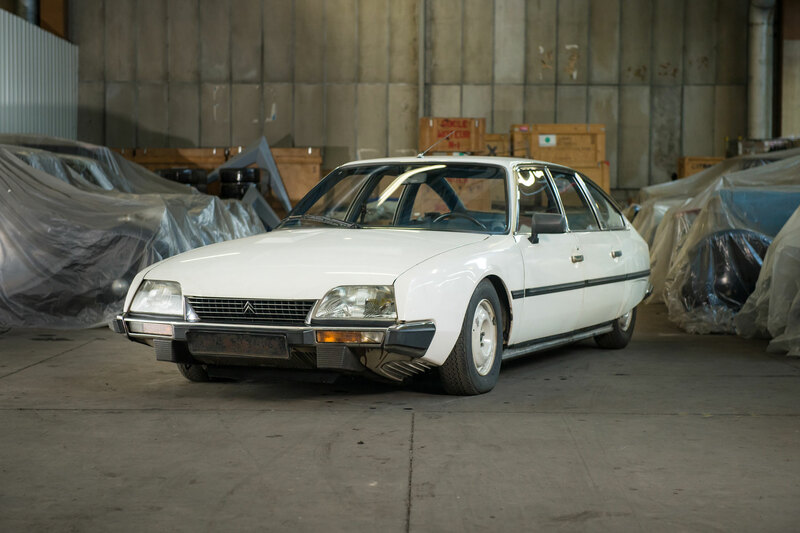 The GS was designed to slot between the Ami 8 and the DS in the Citroen range, delivering hydropneumatic technology to the everyman. The air-cooled flat-four engine gave it an evocative soundtrack, but a hatchback wouldn’t arrive until 1979, with the launch of the GSA. 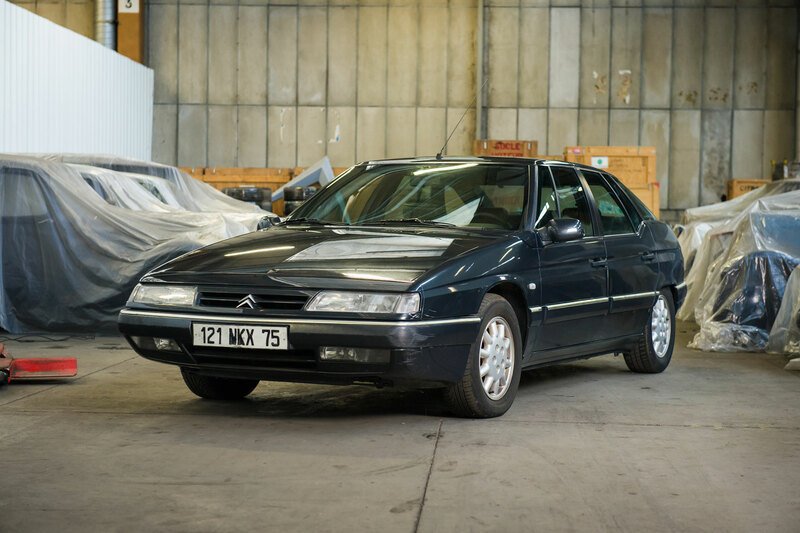 The CX had the unenviable task of following the iconic DS, but while it wasn’t a game-changer like its predecessor, it certainly captured the true spirit of Citroen. 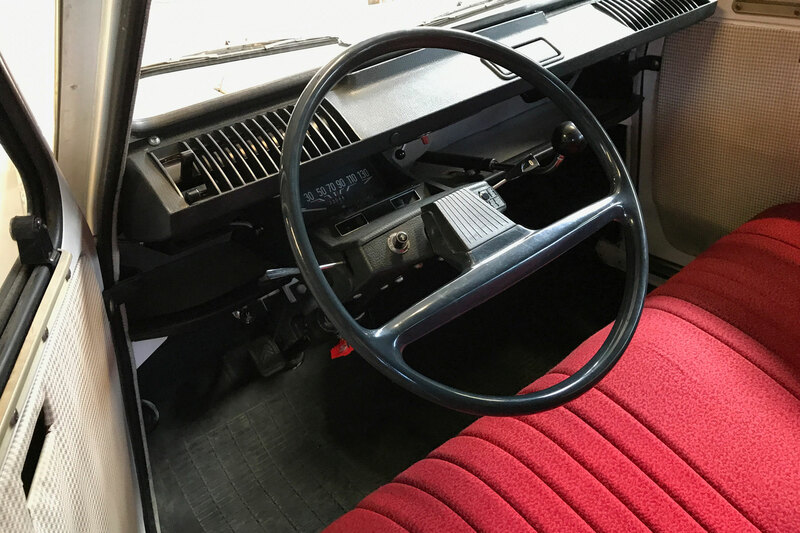 Unveiled at the 1974 Paris Motor Show, the CX featured a futuristic and achingly cool dashboard, hydropneumatic suspension and a concave rear window. A facelift was introduced in 1985, as showcased by this stunning GTI of 1989. 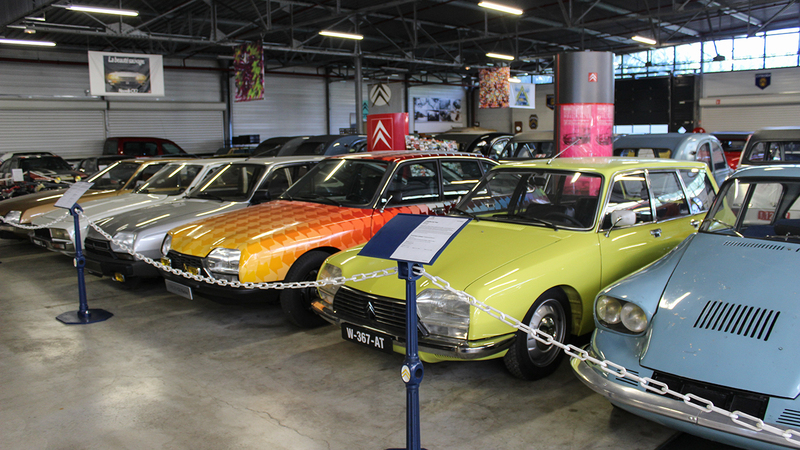 Earlier, in 1975, the last Citroen DS had rolled off the production line: vehicle number 1,330,755. Nothing can prepare you for the sheer scale of this thing. 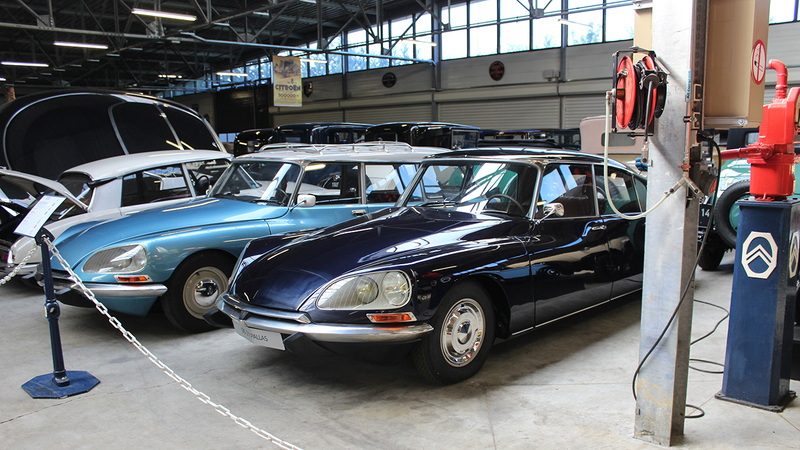 Designed by the Citroen style department, the DS 21 Presidentielle was built by Henri Chapron and was used by Charles de Gaulle and Georges Pompidou. Its dimensions are: 6.53m length, 2.13m width and 1.60m height. Oh, and it weighs 2,660kg. The gearbox is designed to maintain a speed of 6 to 7km/h for several hours. 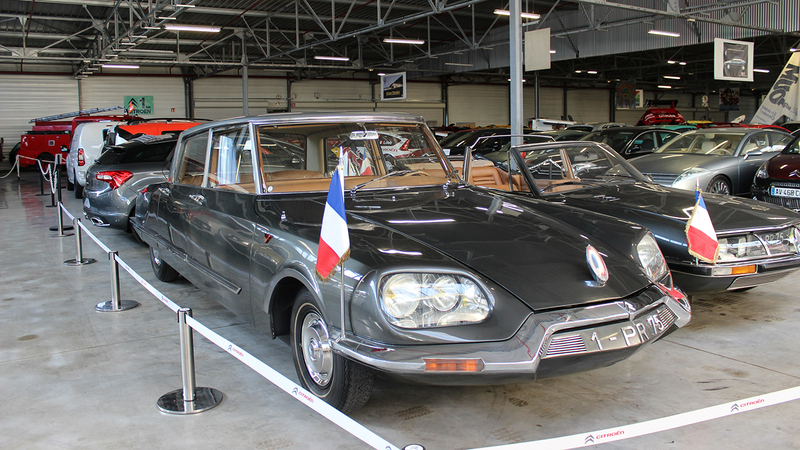 Unsurprisingly, the Citroen SM Presidentielle of 1972 is far more elegant and less imposing than the car it replaced. Once again, Henri Chapron was tasked with handling the build of two majestic presidential cars. They were delivered in May 1972, just before Queen Elizabeth’s visit to Paris. Her Majesty was pictured in the back, travelling with Georges Pompidou. 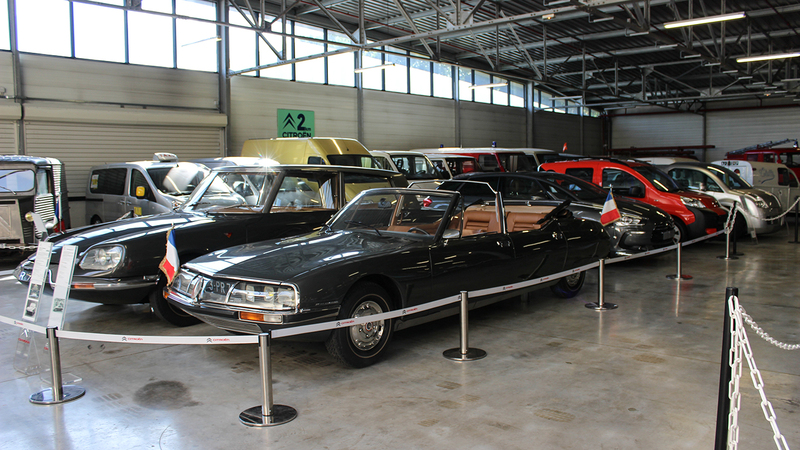 A classic case of ‘they don’t make ‘em like they used to’, this is the Citroen DS5 used by Francois Hollande in 2012. Today, DS Automobiles has separated from the mother brand. 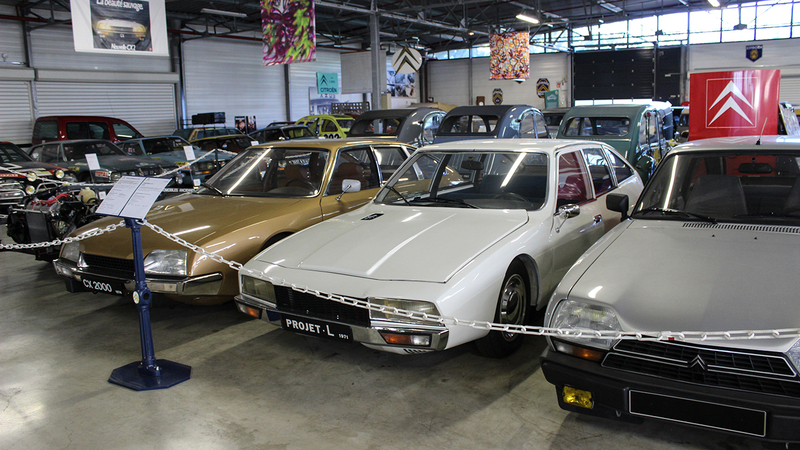 The Project L was the final Citroen designed by Robert Opron and was intended to be a replacement for the DS. 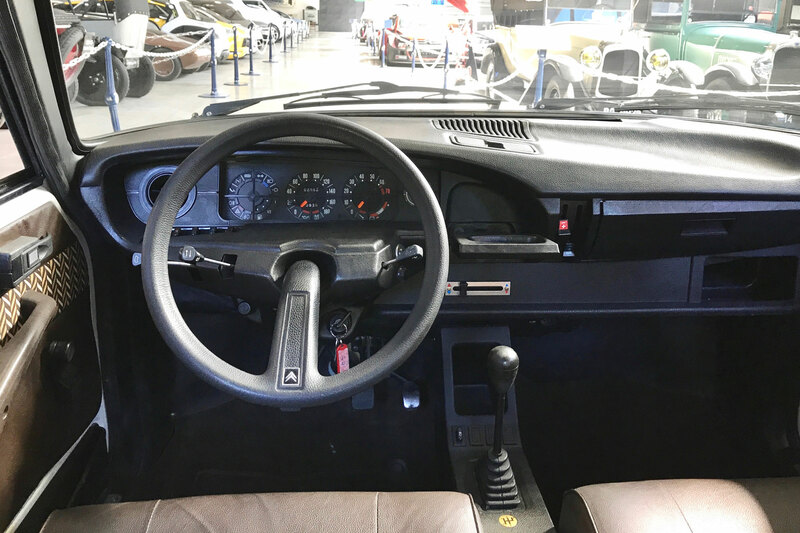 It features what’s essentially an SM dashboard with a GS steering wheel, and Citroen called for enough space under the bonnet to house Maserati’s V6 engine. 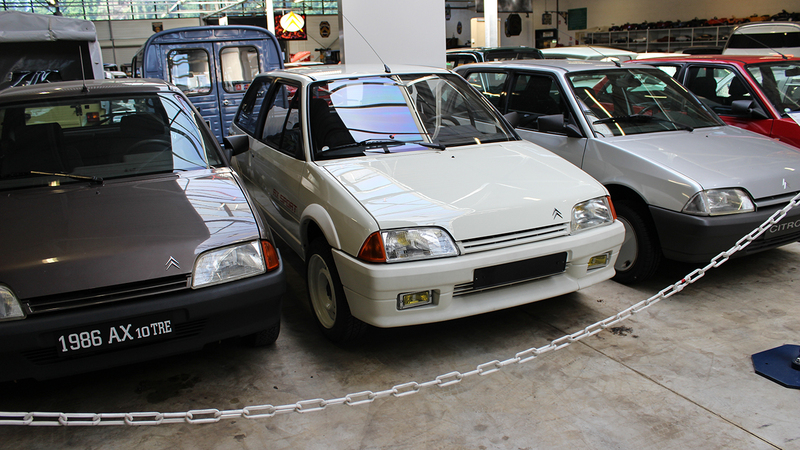 The Citroen Activa of 1988 featured four-wheel drive, four-wheel steer and active suspension, the latter of which would appear as the Hydractive system in the XM. The original Activa concept could also boast ABS brakes and traction control, both of which were considered to be high-tech at the time. 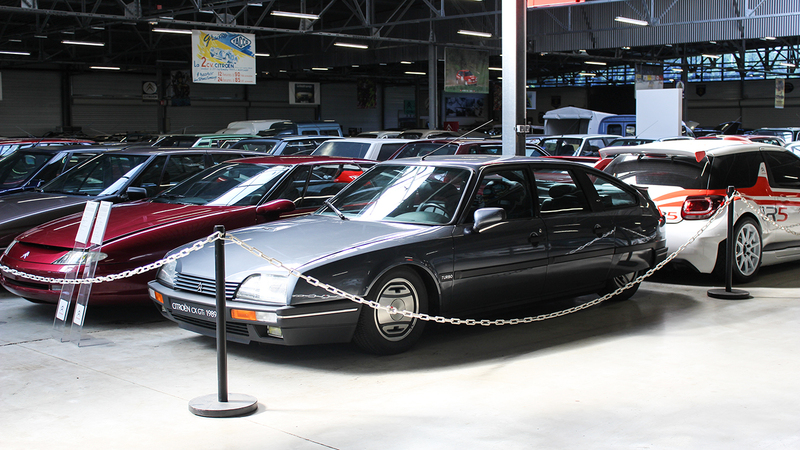 This is the Citroen CX-based Eole of 1986, which claimed a drag coefficient of just 0.19Cd, around half that of the CX. Note the covers over the wheels, which are linked to the car’s hydraulics to lift them clear when steering. 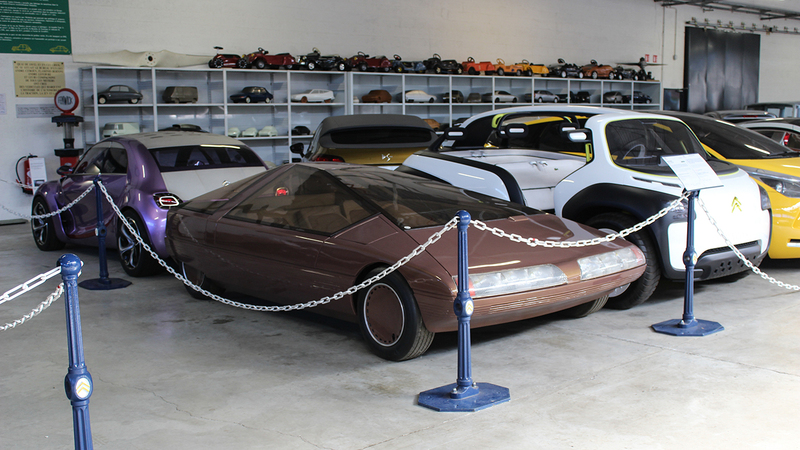 The design was intended to showcase the estate car of the future. The Karin of 1980 presented the idea of a three-seater, with the driver positioned centrally and ahead of the passengers, some 12 years ahead of the McLaren F1. It was designed by Trevor Fiore but never made it beyond the concept stage. Shame. 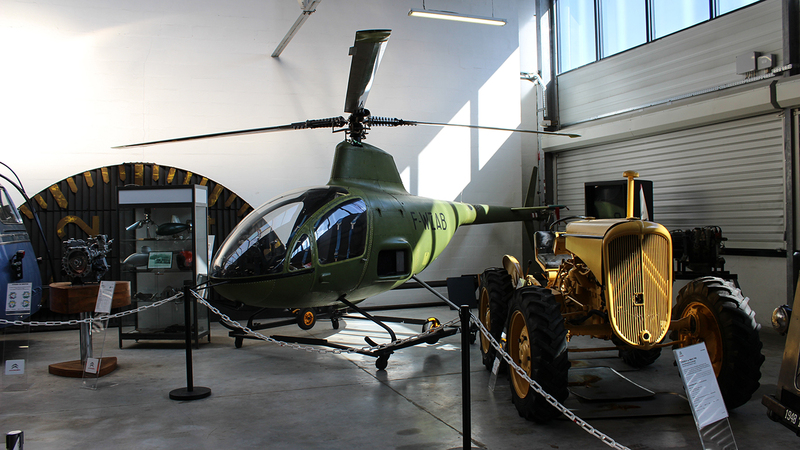 Yes, Citroen really did build a helicopter. It was designed by Charles Marchetti and first took to the skies in 1971. 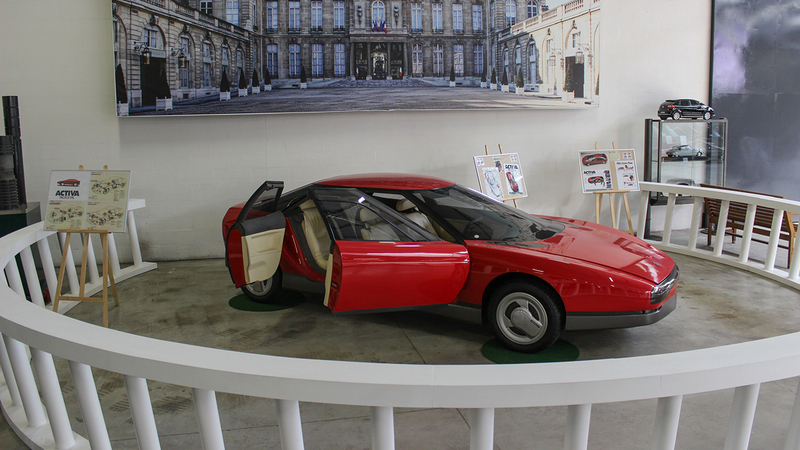 It used an evolution of the rotary engine found in the Citroen GS Birotor, but flew a mere 38 hours before Peugeot pulled the plug on the project. The RE-2 was grounded. The Citroen U23 was produced between 1935 and 1969. This particular bus was built in 1947 by the Besset facility in Annonay, France. 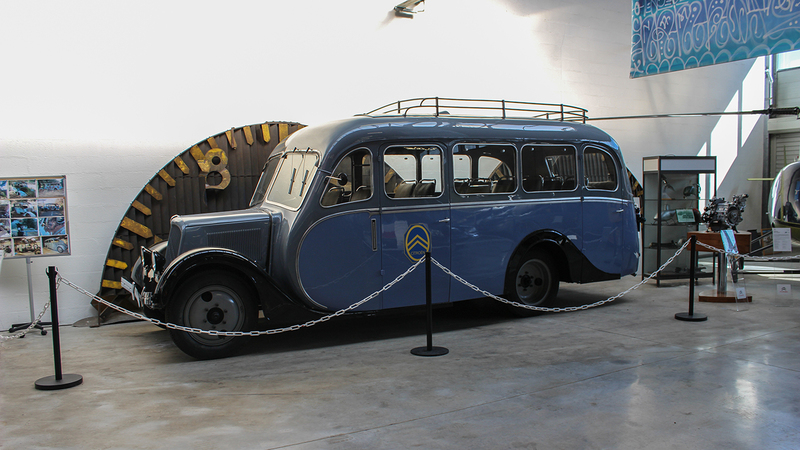 The 18/20-seater was found in Corsica in 2006 and subsequently restored to former glory. 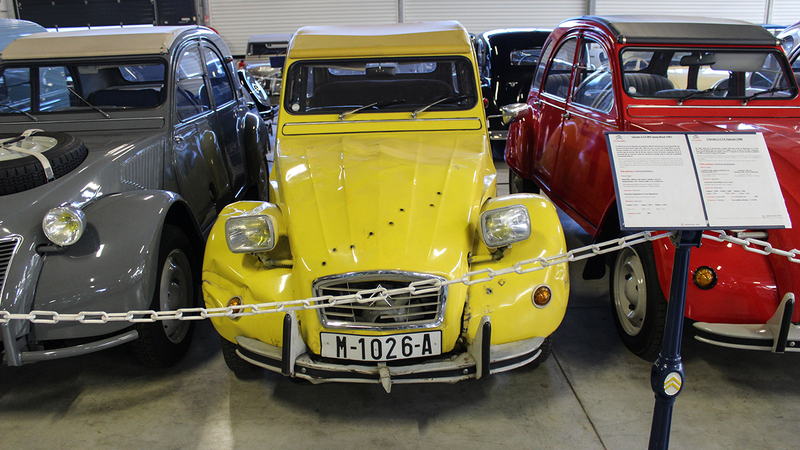 Remember the Citroen 2CV from the James Bond film For Your Eyes Only? It was powered by an engine from a GS and reinforced with a host of safety features, including a roll cage, reinforced plating and raised suspension. Legendary stunt driver Remy Julienne was the man behind the wheel. Looks a little out of place in these surroundings, doesn’t it? 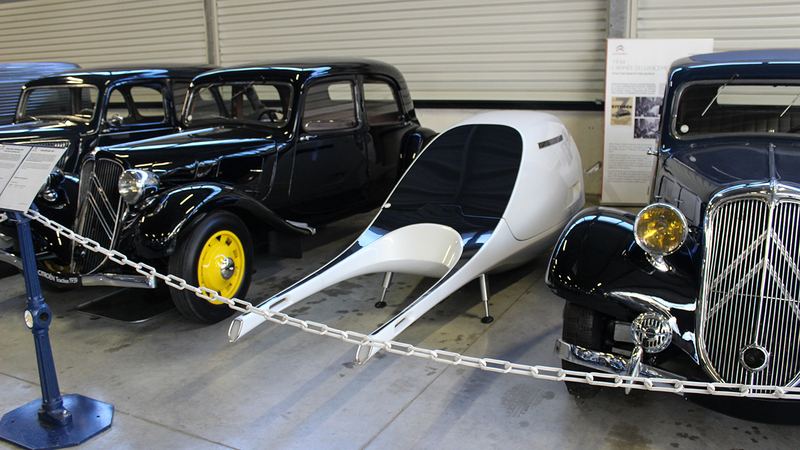 Look again and you’ll see that it was inspired by the design and build of the Traction Avant. Clever, eh? French designer Ora-Ito used an icon of the past to present a vision of the future. Or something. 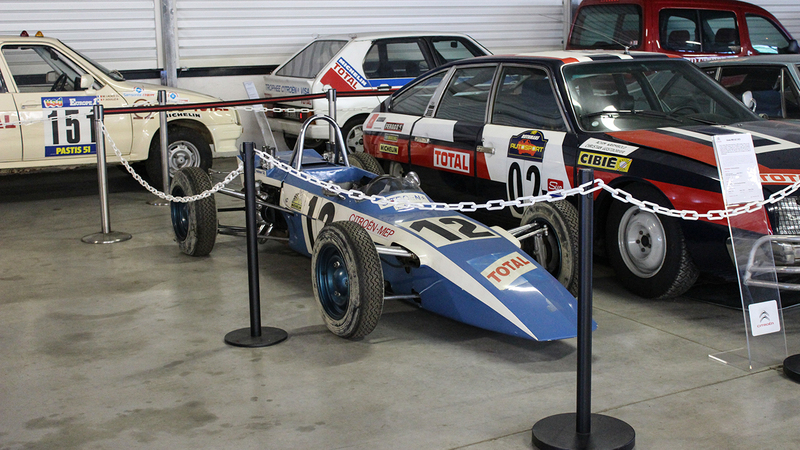 The X27 was the final development of the Citroen-Panhard racecar produced from 1964 to 1975. It competed in the final years of Formule Bleue, which ended in 1975. The Citroen BX 4TC is one of the least successful rally cars of all-time, managing just three races before Group B was banned in 1986. 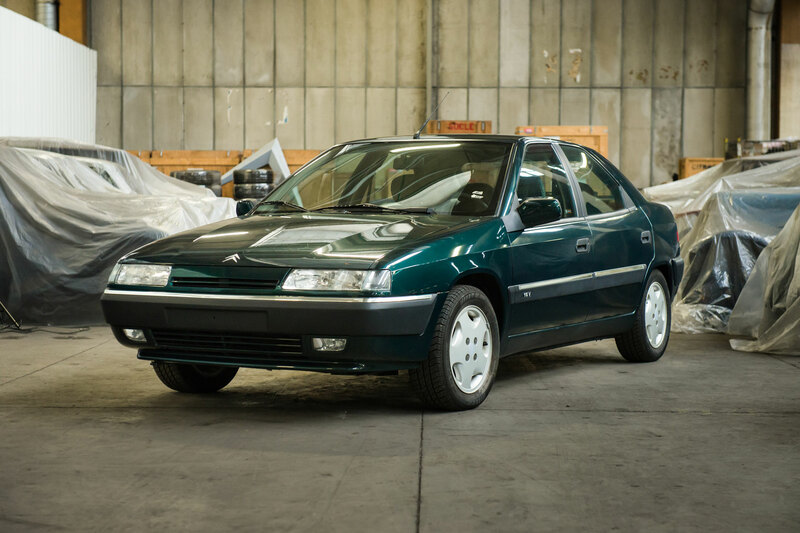 The project was so disastrous, Citroen attempted to buy back all road-going versions in order to have them destroyed. You’re unlikely to see more Citroen ZX Rallye Raid cars in one place. In the 1990s, these were formidable machines, taking no fewer than four Paris-Dakar victories and winning the World Cup for Cross Country Rallies for five consecutive years. 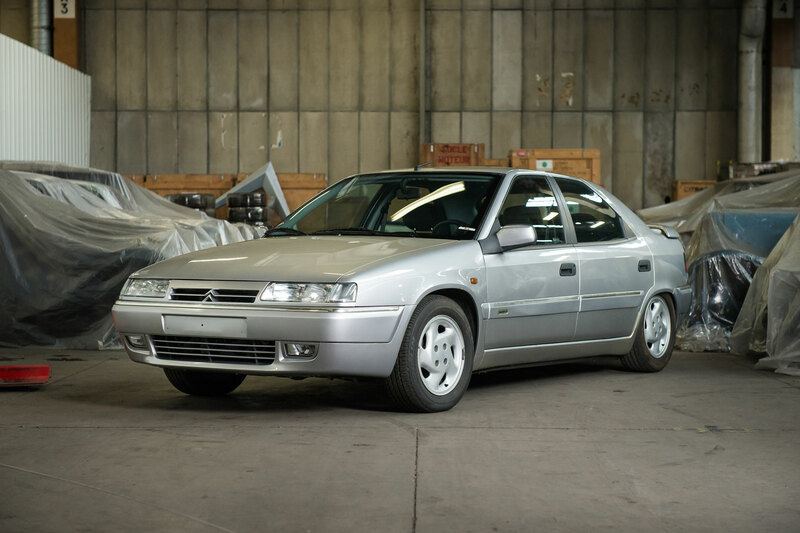 The Citroen ZX 16v is an increasingly rare sight in Britain, with a mere seven registered as being on the road. Thanks to passive rear steering, it’s a genuine delight to drive on a B-road. 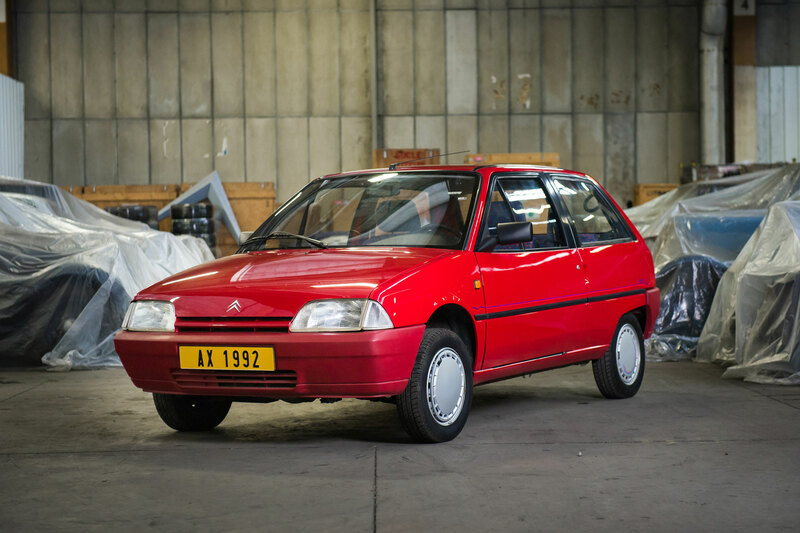 The Citroen AX was a hugely successful car, with around 2.4 million cars produced over a 10-year period. 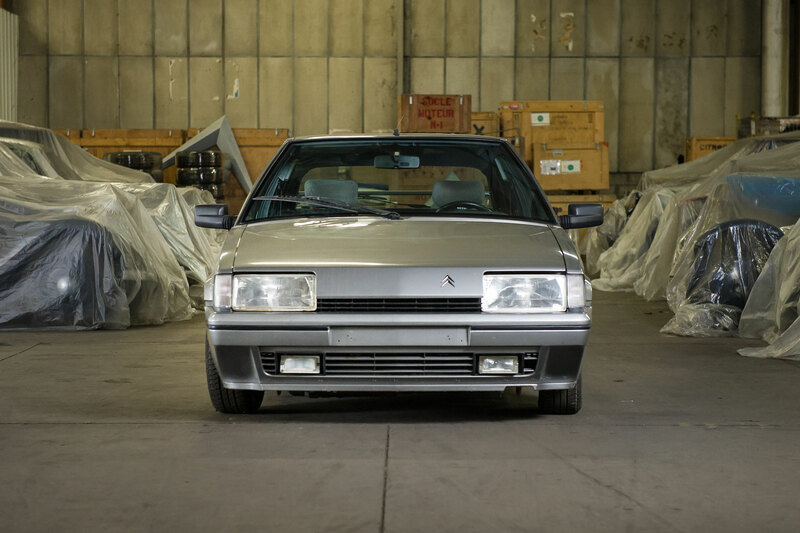 The AX Sport was introduced in 1987 and was a prelude to the more familiar GT and GTI models. According to the DVLA, there are just five Citroen Visa GTIs on the roads of Britain. Which is a shame, because the Visa GTI is a genuinely good hot hatch, with powered sourced from the same 1.6-litre engine you’d find in the Peugeot 205 GTI. And quad headlights are cool, right?